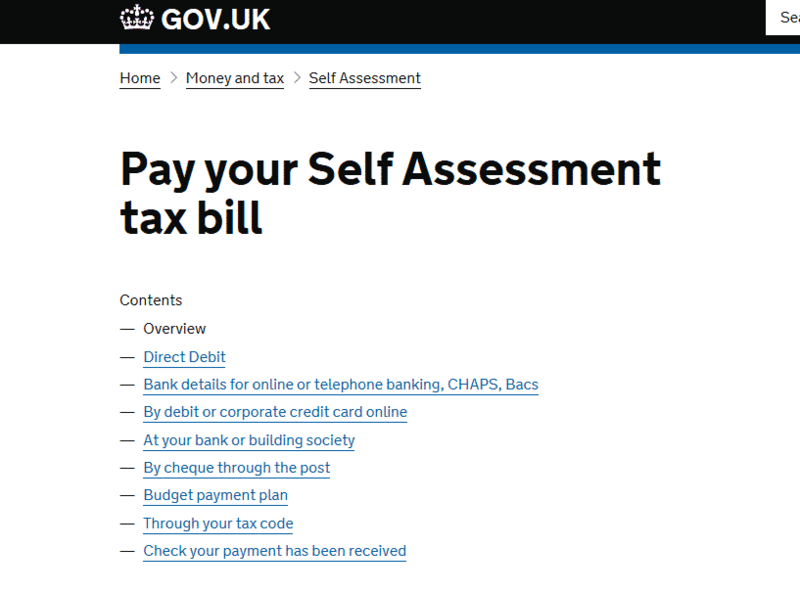 Millions of UK Taxpayers are warned to make sure they use the correct payment information for their Self Assessment tax bills after payment information errors were discovered in HMRC letters. David Redfern, Managing Director of DSR Tax Claims and one of the UK’s leading tax preparation specialists issued his warning after reports that HMRC have included outdated payment information in letters to Self Assessment taxpayers. He warns taxpayers to make sure that they use the correct payment methods to pay their tax bill or run the risk of receiving a penalty for late payment. HMRC posted letters to 5 million taxpayers, incorrectly stating that among the many methods of paying their tax bill, they could pay over the counter at the Post Office or pay using a personal credit card but both methods have been withdrawn by HMRC. The facility to pay at the Post Office was withdrawn on 15th December 2017 while the ability to use a personal credit card was withdrawn on 13th January 2018. Corporate credit card use is unaffected by these changes. HMRC have excused their error by stating that they are saving costs while changing print supplier and have included a leaflet with the correct information with the letters. However, Redfern commented “It’s is rather astounding that HMRC has written to millions of taxpayers with incorrect information regarding payment of their tax bills, running the risk that those taxpayers will attempt to use outdated payment methods and as a result may miss their payment deadlines and receive a penalty. Whilst it is commendable that HMRC is attempting to save money, providing accurate information is essential for taxpayers and due to the risk that taxpayers will receive penalties as a result of this information, this rather passes the buck to taxpayers”. Redfern urged taxpayers to ensure that they were always using the correct information when completing their Self Assessment tax returns and paying the tax bills. He stated that “It is always a good idea to check that you are using the most up-to-date information when dealing with your taxes and the HMRC website is the source of the most accurate updated information. Although one would expect to be able to trust the information one receives from a government department, as we have discovered, this is not always the case. The HMRC website does detail the correct payment information and it is good practice to always check the most up to date information. Unfortunately, you won’t be able to use HMRC’s outdated letters as a reasonable excuse to avoid a late-payment penalty”. Redfern advised taxpayers not to leave their tax affairs until the last moment, adding that “there is always the possibility for last-minute disasters, such as technical issues, so it is always a good idea to leave yourself a bit of breathing space when dealing with your finances. Of course, for some people that isn’t possible, but if you can get your Self Assessment sorted in advance of the deadline, it is always recommended that you do”. DSR Tax Claims are running a “Compliance Matters” campaign until 31st January to increase awareness of HMRC compliance with regard to Self Assessment.